Health Monitoring technology proves to be crucial in health & wellness. By involving in self-management technology such as medication tracker mobile app can save huge sum of money on medical costs. At the same time health monitoring technology solutions can enhance the productivity of healthcare organisation. A research came out recently that 60 percent of adults were able to track at least one health metric, and 21 percent of all adults are using some sort of technology to assist them. With help of healthcare mobile app People are able to track sleep, physical activity, stress, diet, body weight, mood & vital signs allow abstract concepts to turn more concrete. They help in enhancing health status and decrease overall healthcare costs as well increase the quality & accessibility of healthcare. It is definitely not the wisest thing to forget taking medicines as missing even a single dosage can worsen the health and often time, in case of chronic health diseases, may even lead to death of patients. Thus, these people who tend to forget taking their pills can immensely benefit from these apps that remind users to take their medications. The concept of Pill Tracker and Medication Tracker Mobile Apps is pretty much in rage nowadays, owing to their efficiency to help patients stay adherent to their medication and this is just the best way medical providers and pharmacists can enhance health outcomes, quality measures and decrease overall healthcare costs. In fact as per a statistical data from the National Institute on Drug Abuse, more than 64,000 Americans died from drug overdoses in 2016. After all, any medication can be having an adverse effect, be it a prescription, drug, therapy, herbal medicine, vitamin supplement, or over-the-counter (OTC) drug. Now the side-effects of medication may vary from minor to severe to life threatening. However, now the prevention is possible with these Pill Reminder & Medication Tracker Apps, which are designed to easily help users in tracking their medications. Recently a study recently published in the Journal of Medical Internet Research stated that mobile apps help in enhancing medical adherence, even among older adults lacking experience with smartphones, Tablets, computers, or the internet. What are the benefits of Pill Reminder & Medication Tracker Apps? It offers a lot of flexibility to customize the schedule as per your need for each medication. Its ability create a schedule pretty accurately is again useful and it can then also be edited easily. It reminds to take medication through simple alerts on phone. Often it happens that people get distracted by hustle & bustle of daily life, and may forget taking their medicines. Hence, these apps come useful. So, you won’t be forgetting important dosages any more. It prevents errors by ensuring people don’t end up taking wrong medicines or skip dosages. Pill Reminder & Medication Tracker apps prevents such a scenario. Users do not have to read or figure out anything, they just need to take their pills after the reminder beeps. These apps can be used pretty easily as they are designed with ease of use in mind. The functionality is always kept very simple so users don’t come across any difficulty in using them. These apps can be customized to alert you in a way that suits you best. Like most of them can be set up to send-a-text, ring, vibrate, or pop-up a visual notification as it’s time to take medicine. Users can even indicate that they took their pill already, or that they want to be reminded again later, or to dismiss. The app is able to track it all so it gets easier to monitor your progress and show your doctor how well you are doing. What are the features of Pill Reminder & Medication Tracking Software? Which are the most prominent apps in this arena? As you peep into the arena, you will be surprised to find that a huge number of people are already using Pill Reminder & Medication Tracker Apps. As per research, most people in United States are using a smartphone with 66% among them are keen to use them to help their health. The research carried out by the University of Arkansas for Medical Sciences stated that there are 461 medication adherence apps on the iTunes, Google Play, and Blackberry marketplaces. MediSafe: This app can be integrated with Healthkit (iPhone) and Android-wear to keep track of blood pressure, blood glucose and weight, and it can also save reports as PDFs. It enable the users to discover more about food & drug interactions and then it also has a fun side to it as well. Like, it alerts the users about setting alert tones so to have Austin Powers or Dath Vader to remind them about their meds and dosage. MyMeds: This app is able to send reminders by text or email, as well as push notifications, in case the users desire to receive information in their inbox. There is also this feature that allow you become more informed about why you are on certain treatments. The most amazing feature is where it enable users to invite friends, family and their healthcare team to view & help with your progress. Mango Health: This app has a schedule to create drug interaction warnings, reminders, refill alerts & a diary. It also presents a gamified points system, where the users can take their medication and earn points, and once they earn enough points they can even win prizes. Dosecast: It offers variety of sounds and options to users for their notifications: like it repeats signals after a certain time, continuous signal lasts as long as you do not hear and do not cone running to turn it off and there is even one postpone option. The app allows scheduling your medication daily, weekly, monthly as well as set maximum number of allowed dosages thus avoid dangerous overdoses. The app can also track remaining quantities of your medicines, send refill reminders, and logs medication adherence. Find Accounts on Device: Push Notification feature is used in the software to let those with permission know in case the main user has forgotten to take medicine. Why is it important to choose right development partner for Pill Reminder & Medication Tracker Software? As you start with your search for the right Pill Reminder & Medication Tracker Software, you need to ensure the mobile app development firm is offering a list of crucial features, such as: Easy-to-use, User-friendly, Smooth Functionality, High-quality UX/UI, Works efficiently on all devices (desktops, mobile & tablets), mobile-ready strategy (suits both Android & iOS apps), Integrated with EHR system, HIPPA, HL7 compliant, and Certified with EPCS (Electronic Prescription for Controlled Substance). 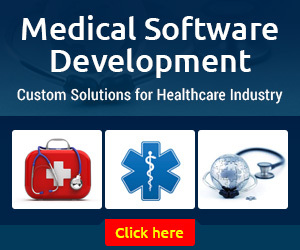 What is the cost to develop a Pill Reminder & Medication Tracker Software? Numerous factors need to be considered to determine the cost of developing a Pill Reminder & Medication Tracker Mobile app. After all, it’s a huge system which is integrated with various sections of the healthcare group, thus it requires great level of integration and support. These are the factors that need to be considered while calculating the cost to develop a pill reminder mobile application. 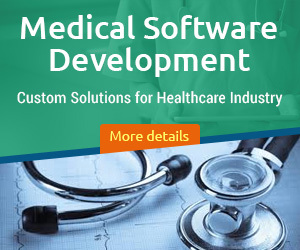 Once you come across a medical mobile app development agency ensuring the best results and great features for the system, you can go ahead with the development process.